What’s Good: When you get to see noir at its best in a Bollywood film. The film true to its name is Ugly. It is dark and certainly not for the faint-hearted. Anurag Kashyap is one of the few directors who knows how to build a plot with multiple characters and yet leave us wanting for more as we meander into their lives and try to find a reasoning to their actions. Unraveling the true nature of human greed, this film is a mirror for all of us who have demons inside us. What’s Bad: Well, not all would want to sit through a grim film that stretches for over two hours. 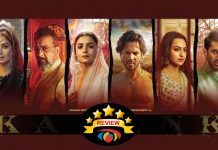 The film is not a regular drama and if you are one of those who want cinema to be an enjoyable experience, this is certainly not for you. Loo break: Control it! This is life unfolding in front of you. Watch or Not? : Once again stressing on the fact that this film is not for those weak and those who want to ease their minds off while watching a film. This is a complete Anurag Kashyap masterpiece and if you are familiar with his style of film making, this one is a must-watch for you. He does what he is best at, give us a something that is unforgettable. Don’t make the mistake of comparing it to his previous works, this one is a gem in itself. A 10-year-old Kali goes missing in a bustling street after being left in the car by her father Rahul, who is a struggling actor. Thus, follows a story of kidnapping, ransom and a string of grim characters who come under the radar of the police. As Kali’s step-father, a cop, takes on the mission to find this little girl, he encounters a lot on his way including his current wife’s ex-husband and his college enemy Rahul. 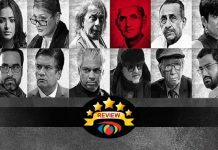 In the midst of the disappearance of a young child, can these adults move over their past and put behind their egos or will they hold onto their grudges and sacrifice the life of a 10-year-old mid way? Bollywood has always stayed away from dark dramas and among the very few filmmakers, Anurag Kashyap is one who dares to bare it all in his films. Ugly is raw, grim and a in-the-face film which deals with multiple characters who falter prey to their own greed as they are caught up in a strange situation. 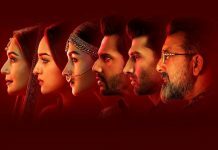 The script is bang-on and probably Kashyap’s best. I haven’t felt the chills of his story telling ever since Black Friday and this is a second. His three lead characters are messed up, one being the struggling actor Rahul (Rahul Bhat), other being his ex-wife Shalini (Tejaswini Kolhapure) who is suicidal and now a caged wife of a ruthless cop played by Ronit Roy. While all three have a back drop, they keep struggling to get in terms with their life then and now. Ego and greed being the two main angles in this story, Ugly really gets ugly as the course of the story builds. The pace is amazing and this is a truly gripping script. Right from the first scene of the film where a listless Tejaswinin Kolhapure is contemplating her suicidal thoughts, the film sets its tone. This is an excellent story and with its blissful casting it shines in every frame. One person who truly enthralls us in this film is undoubtedly Ronit Roy who plays a ruthless cop. He is fearless and determined to find his step-daughter Kali but is at the same time held back by his haunting past. A male-chauvinist, he would rather cage his wife than let her out of sight. Ronit does a fine job and truly plays his character with full might. Rahul Bhat who plays Kali’s dad and a struggling actor does a good job too. The actor who is seen after a decade in a film is quite surprisingly up to the mark and we wonder why the hibernation period. My other favorite pick is certainly Vineet Singh. He is flawless as the casting agent who is slimy and sly as required. Siddhanth Kapoor does not have a plum role in the film but his most iconic scene for sure will remain in memory as he dances with bundles of cash tucked in his underpants. All I will remember Surveen Chawla who plays Rakhee the item girl will be for her ‘Nichod De’ performance. A good mockery on the item songs. But out of all the aforementioned character, you truly feel sad for Tejaswini Kolhapure’s character which she pulls off with complete finesse as one who remains to be nothing but a woman who is conquered by both the men in her life and I mean ‘conquered’ instead of being loved. She portrays a torn woman who could neither receive nor give love. Anurag Kashyap is a director who believes in presenting the human nature and its raw elements on celluloid. This time on his radar is greed and the demons inside us which even overpower our usual emotional sides. A story of a 10-year-old being kidnapped transforms into much more complex as each character flips sides according to their suitability. This film is evocative of raw emotions. The lighting in the film is as dark and dim as all of its characters. One of the best scenes captured by the director is that of the police station where Rahul Bhatt who is the father of the kidnapped child comes to file a complaint but is cross questioned and asked to talk about call phones and explain how to set a contact photo in a cell phone. Can you imagine the frustration one would go through if this happened? Well, that’s what this all about. The editing is tight and in spite of having multiple characters, we rarely find a character missing and the director gives us no chance to forget them. As perverse as his characters are, the locations too speak a lot about them and thus as always in any of Kashyap’s films, the atmosphere too tells the story. Ugly is a mean, dark and unsettling film that will rip you off in its last scene. This film is for the strong-hearted. It is honest, bare and raw in all its sense. As disgusting as the characters are, you want to watch this film for their diverse personalities and just to see what goes on in warped brains that bring out the worst in them. I loved the film for its brave nature and I am going with a 4/5 for its bold content. 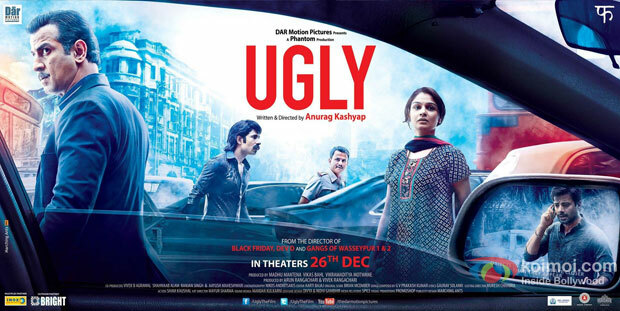 Ugly releases on 26th December, 2014. 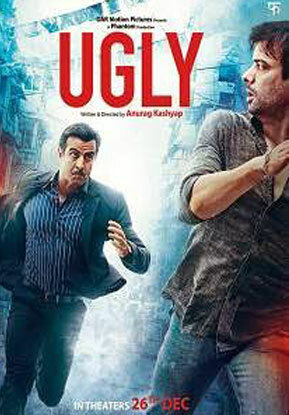 Share with us your experience of watching Ugly. Bhai kaun se theatre nmein lagi thi……….